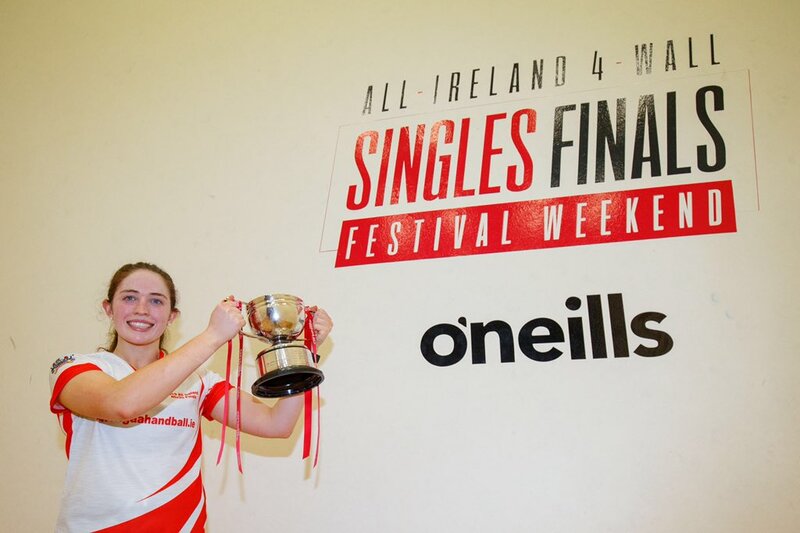 The greatest rivalry in handball continued on Saturday in Kingscourt, as the current All Ireland 40×20 and 60×30 champion and the reigning USHA national champion and World Handball Champion Martina McMahon met 16-time WR48 champion and WR48 #1 Catriona Casey. The two greatest players in women’s handball split the first two games with identical 21-12 score lines. McMahon seized control in the third game, surging to a 10-1 lead. Casey chipped away at the lead, eventually taking control of the game with a 17-4 run to take an 18-14 advantage. 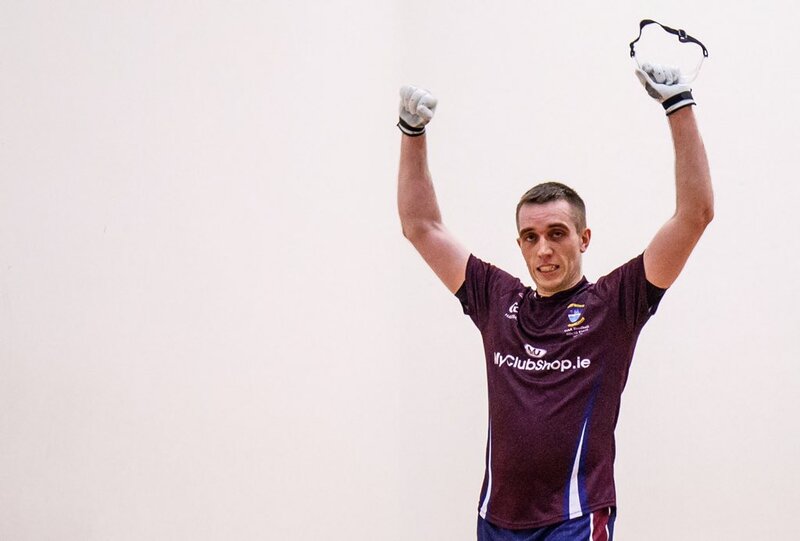 Just as the pair had done in their two 2018 All Ireland finals, McMahon and Casey found themselves tied at 19. 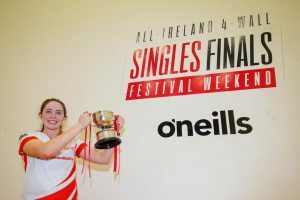 However, unlike in the two 2018 finals, Casey was able to cross the line, serving an ace at 19-19 and finishing the match with a second serve ace. “Catriona Casey is a rocket launcher!” exclaimed WR48 star Elise Mc Crory. With the 2018 All Ireland 40×20 champion Martin Mulkerrins ousted in the semifinals by Robbie McCarthy, there would be no repeat in either Senior bracket. 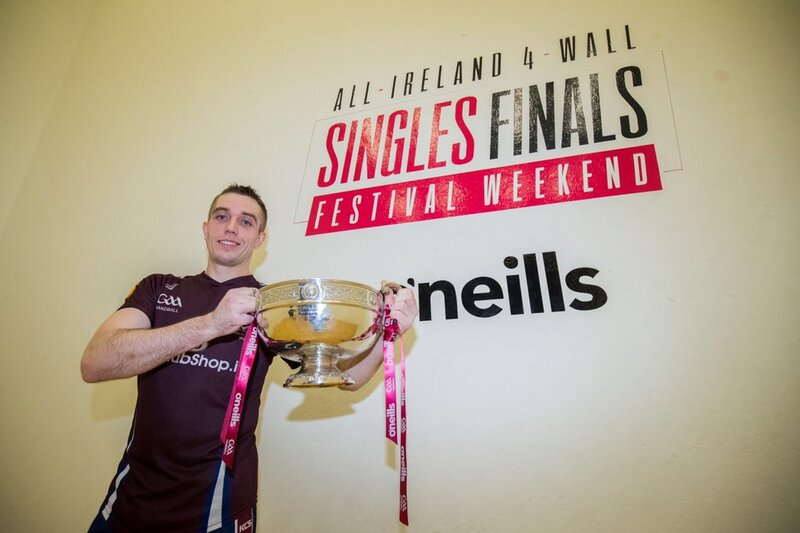 Irish lefty Diarmaid Nash was in search of his first All Ireland title, but would need to overcome three-time All Ireland 40×20 champion and Irish rival Robbie McCarthy. McCarthy maintained a slight advantage throughout the second half of the one-hour first game against Nash, ultimately closing out the game with a left-handed back wall kill after Nash saved McCarthy’s first game point with a flat roll out. Nash took an 8-4 lead in game two, only to see the advantage erased by a 13-3 McCarthy run. 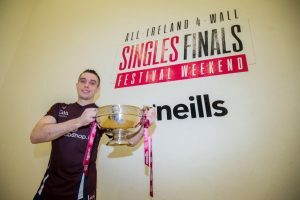 Nash closed the gap to 15-17, but McCarthy was too strong in the final moments, closing out the match to win his fourth All Ireland 40×20 championship.